Dubai, UAE, March 17, 2019: Who wouldn't want to know the secret to celebrities' youthful looking skin? The good news is, Kylie Minogue has recently revealed one of her beauty secrets to us during an episode of Beauty Full Lives podcast hosted by journalist Madeleine Spencer. The pop star who has been included on lists of the world's most beautiful women has recently celebrated her 50th birthday attributed her eternal glow to using the Rose Diamond Cream from The Organic Pharmacy in her skincare routine, describing it as nice and rich in texture. 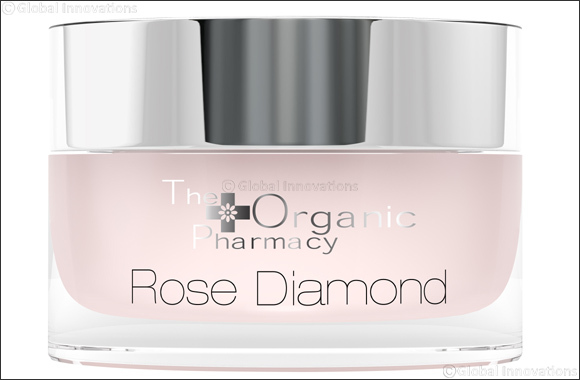 The Rose Diamond cream is made from the world's most lavish and natural ingredients, which instantly plumps and firms, whilst adding a healthy glow to the skin. The premium cream features the first press essence from hand-picked, organic Persian roses, harvested from a tiny village nestled in the Persian mountains. Cultivated at a high altitude, the roses produce much higher levels of anti-inflammatory extracts that ward off wrinkles and visible lines. The cream also contains exquisite diamond powder, which softens the skin and leaves the complexion supple and rejuvenated. Not to mention the other potent ingredient it contains such as safflower, rosehip oil, hibiscus, linseed and evening primrose that work together to strengthen skin's barrier from environmental aggressors, improve elasticity and giving the skin a radiant glow. Previous Story : The essence Guide to a Mother's Day done right!